II. Tapping into the agility & focus contained in our root center. Allowing us to maintain equilibrium all around, flowing and swirling along life-changes. 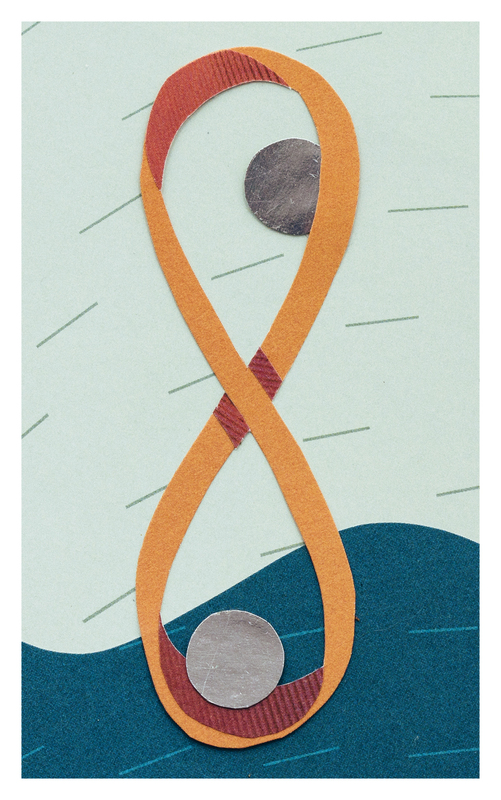 The infinity loop is navigating the waters, holding the earth manifested as two pentacles that swirl along its infinite shape while faithfully staying in place. Keywords: Duality, Balance, Skill, Dance. Two of Pentacles, the sketching process, trials and errors.